Real Guitar is a sample-based virtual instrument with an innovative approach to guitar sound modelling and guitar part performing on a keyboard. 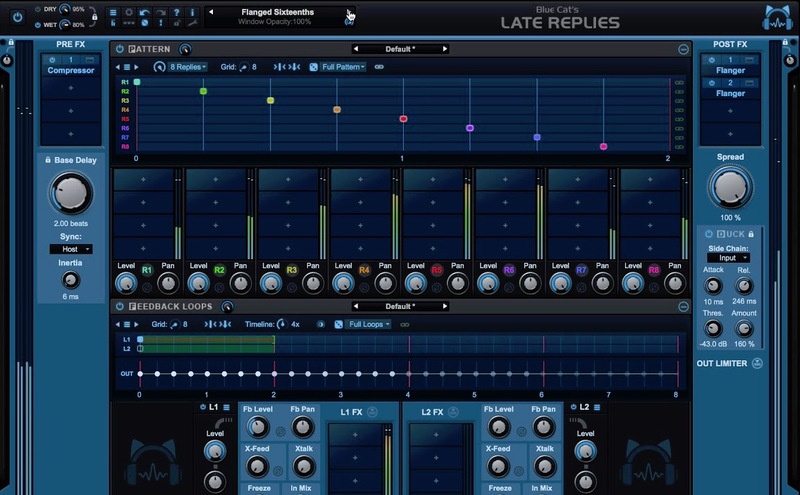 MusicLab's new technologies allow the user to closely emulate live guitar sound and techniques, letting you perform guitar parts with a whole new level of naturalistic expression. 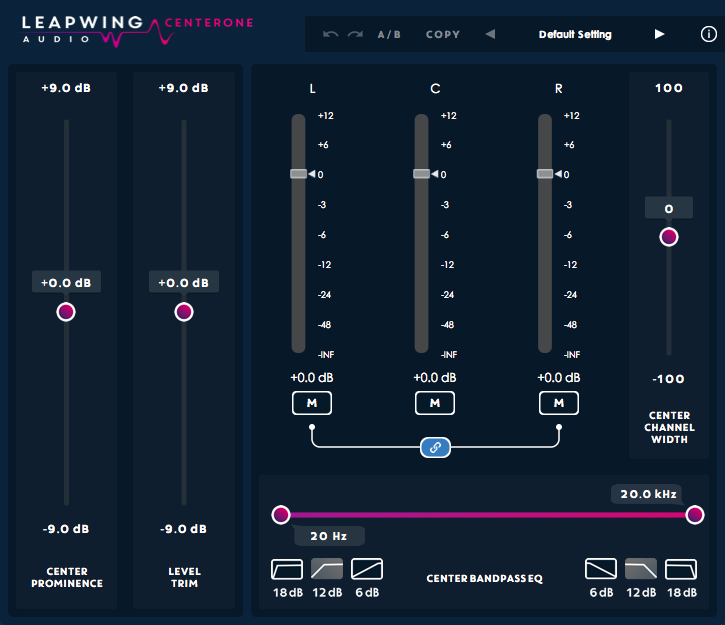 The ultimate guitar plug-in for any producer seeking a 'real' guitar sound. RealGuitar 5 includes a two-instrument combo pack. RealGuitar Classic; includes all MusicLab's guitar models with loads of new playability features. RealGuitar Steel String; features the debut of MusicLab's new Steel String guitar sample set with five patches and three tuning selections for each. Each instrument is built up of a captivating user interface that includes a virtual fretboard, virtual keyboard, a settings panel and various tabs to control the performance modes and song mode of the plug-in. 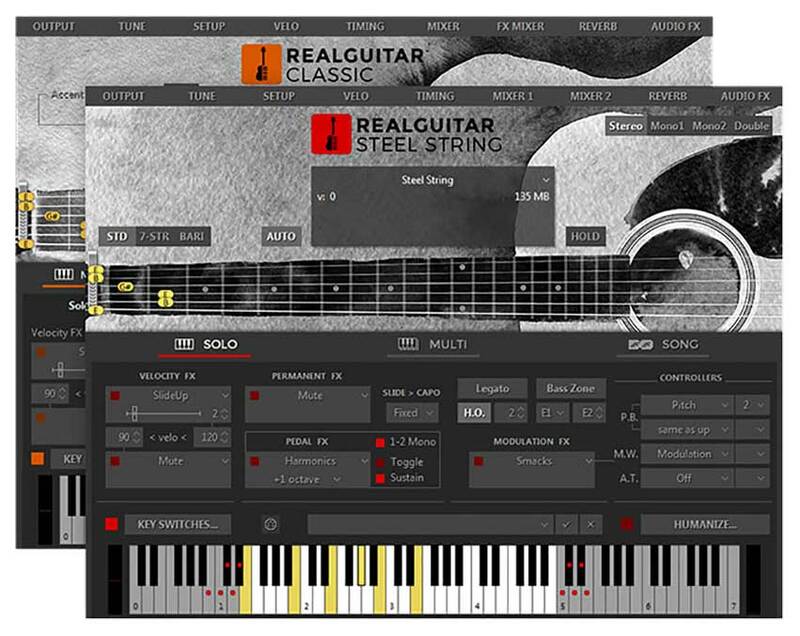 RealGuitar features Solo and Multi guitar performance modes, each of which is a separate performance tool meant for imitating special guitar performance styles. Solo mode is a polyphonic mode for performing melodic parts. RealGuitar Solo mode provides you with multiple permanent and switchable controls allowing you to easily add various specific guitar articulations such as slides, bends, hammer ons, etc. to your performance. Multi-mode is a universal mode allowing you to perform various guitar accompaniment techniques that use chords, such as strumming, bass and strum, bass and string picking, and much more. 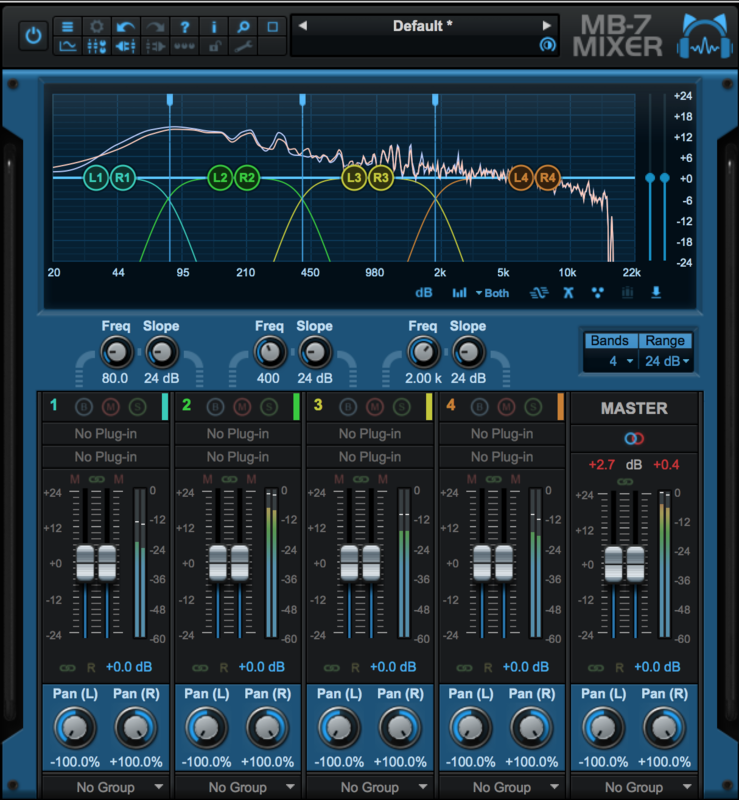 The user can also create custom performance modes by combining different techniques in a single set and adding many specific guitar effects, articulations, and additional sounds to the performance. Song mode turns RealGuitar into a powerful and easy-to-use song writing tool allowing the user to create perfect guitar backing tracks for your songs. Insert chord symbols in the needed measures of the built-in Song Track, browse and drag and drop patterns into it. Build backing tracks to jam along to. RealGuitar has a pattern library that includes over 1250 guitar rhythm patterns organized in various musical categories and styles making everything possible. The Virtual Fretboard is an important element of the plug-in as it allows the user to visualize and control the Floating Fret Position while playing. One feature that sets RealGuitar apart from similar plug-ins is its Floating Fret Position principle, which imitates change of fret position of a guitarist's hand on the neck. This gives a unique possibility of playing on up to 122 guitar frets using just 50 keys of a standard keyboard. The Fretboard has several other functions. Preview, allows audio previewing the loaded guitar patch by clicking on strings. Display notes, shows the performed notes (with names) in accordance with visual representation on the fretboard and real sound. The lower part of the RealGuitar window houses a virtual keyboard that visualizes RealGuitar keyboard layout. The layout indicates activated key switches in Solo mode, and shows all MIDI notes incoming to RealGuitar or played on virtual fretboard with a mouse. Additionally, virtual keyboard duplicates the external MIDI keyboard input, so everything you can play by MIDI can be produced on virtual keyboard with a mouse. Shift-clicking will hold down the pressed key allowing the user to preview chords/key switch FXs. RealGuitar humanize option also the user to easily add more realism to the performance of the user (whether it is played live, step-recorded, or automatic). The humanize panel has 9 parameters grouped under functional headings: sound, timing, velocity, and pitch. Each parameter has a individual switch LED and two sliders. The upper slider control the maximum range of parameter, while the lower one controls the sensitivity of randomization in percentage. Multi-channel layering technology, incorporating a custom library of specially recorded samples taken from every fret of all strings of a real guitar. High quality 24-bit stereo samples. Floating Fret Position technology, which imitates change of fret position of a guitarist's hand on the neck. This gives you the possibility of playing on up to 122 guitar frets using just 50 keys of a standard keyboard. Easily imitate basic guitar techniques (strumming, plucking, sliding, bending, muting, etc...), using standard MIDI keyboard and MIDI controllers. Guitar Rhythm Pattern technology providing huge MusicLab Guitar Pattern Library for easily creating guitar accompaniment tracks. Song Mode turning RealGuitar into a powerful and easy-to-use song writing tool allowing you in no time create perfect guitar backing tracks for your songs. Simply insert chord symbols and rhythm patterns into the built-in Song Track - and your guitar part is ready. Advanced Humanize section allowing the user to easily add realism to their performance, both live and step-recorded in a MIDI track, or automatic. 6-string, 7-string, Baritone guitar tunings. 12-string Standard and Baritone guitars. 14-String standard guitar. Nashville Tuning for Standard and Baritone guitars. Authentic, deep velocity response with controllable Buzz and Slap noises. Stop Slap, Stop Strum sound FXs. Palm Mute sound with tightness control. Stereo, Mono, and Double output options. Combining various guitar techniques (strumming, soloing, string picking, etc.) in a single performance layout. Numerous performance options, effects, and their combinations. 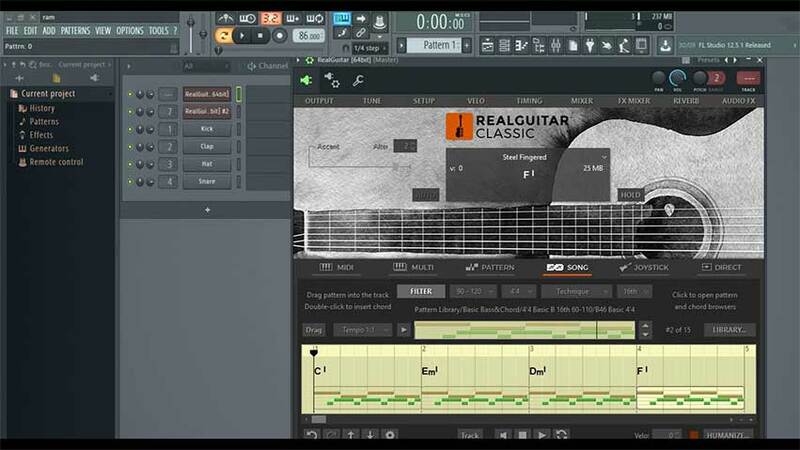 RealGuitar 5 is a great plug-in for anyone who wants to bring real guitar tones and dynamics to their production and workflow without having to go through the process of recording a guitar or finding a guitar player to record on their production. The sound quality is good and hard to distinguish between a real guitar recording within the mix. The GUI is captivating and relatively comprehensive. 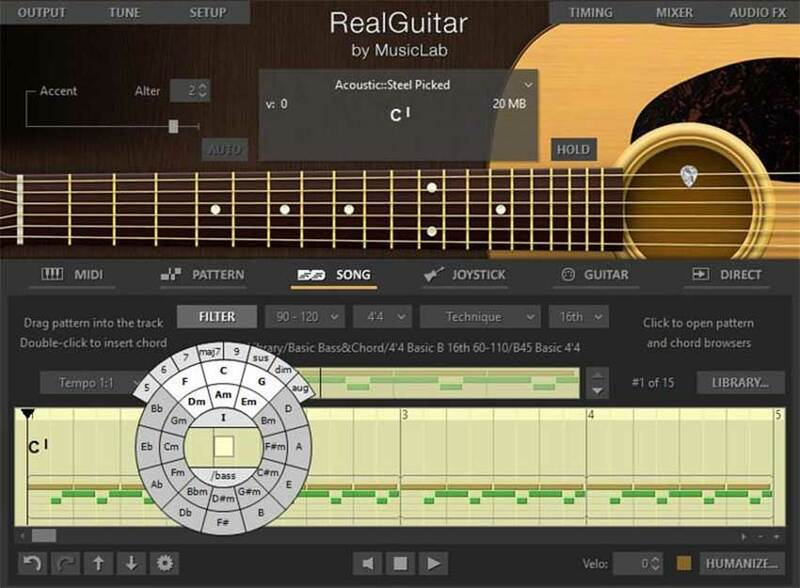 RealGuitar 5 is packed full of great features and sounds. I really appreciated how MusicLab sampled each fret. Being a guitar player, I know how each fret has its own distinguishable sound. 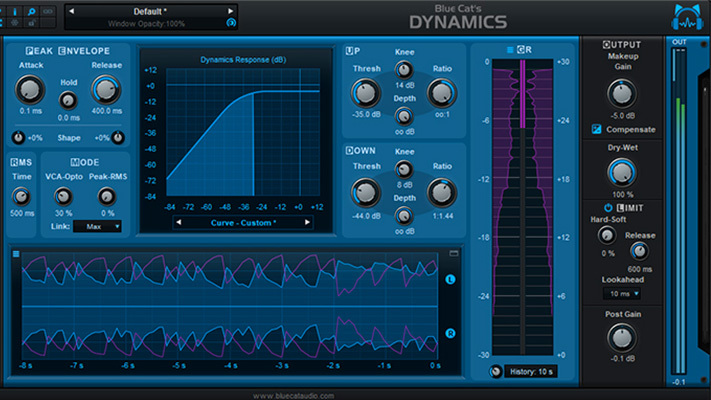 The ability to add dynamics such as sildes, bends, mutes, harmonics, etc. is intutive and captures the essence of an actual guitar. 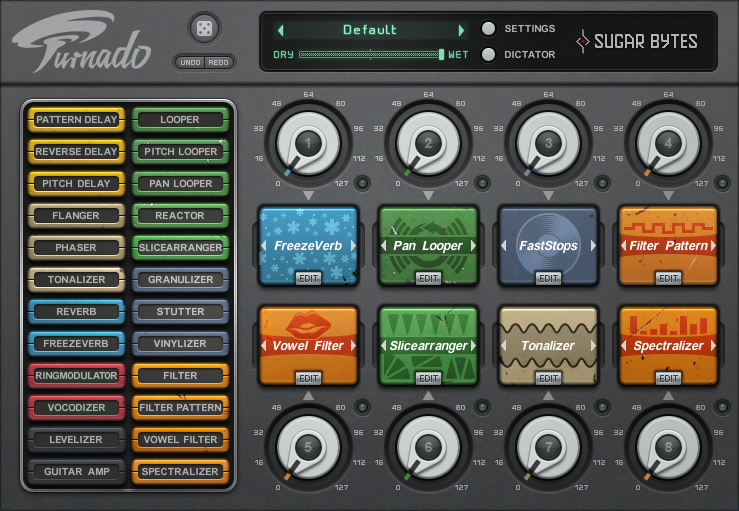 RealGuitar 5 is packed full of different sounding guitar patches. From 12-string guitars to nylon picked guitars, I was able to capture the exact sound I was going for. 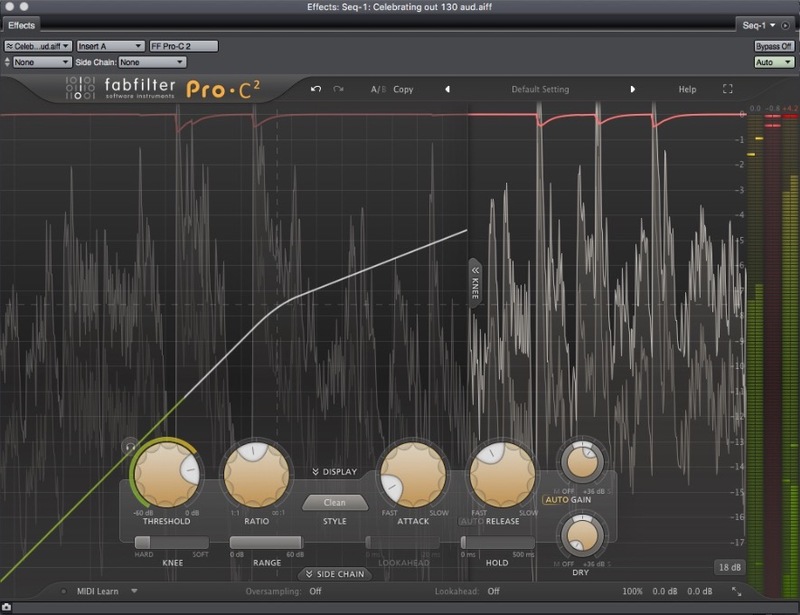 Much like MusicLab sampling every fret, the 'floating fret position' function of the plug-in is extremely useful. This function allowed me to mirror exactly how I build and play chords on an actual guitar. 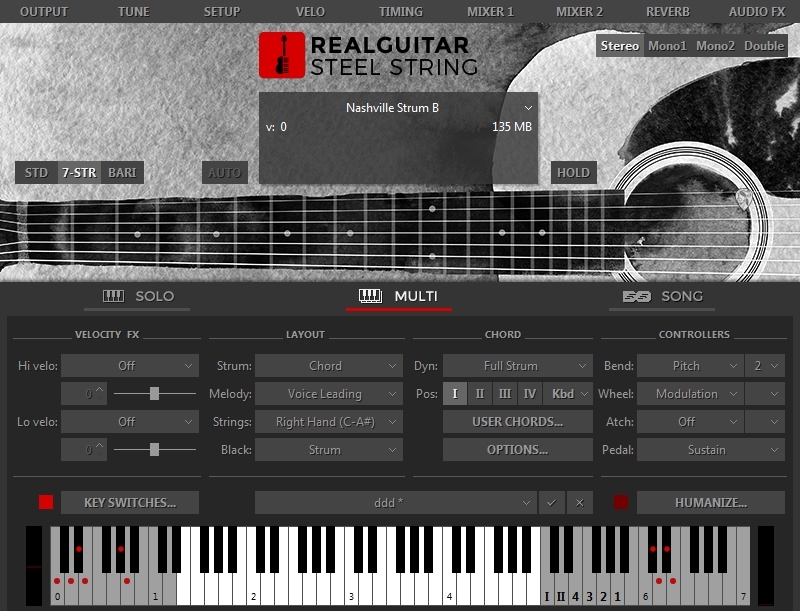 RealGuitar 5 is a great composition tool. The song mode is great for composing guitar ideas. Being able to import chords from a webpage such as ultimate guitar, chordie, guitarsongs, or just a plain text file is a great function for someone who is trying to learn a new song or to hear exactly what a chord sounds like. I found myself importing several songs from ultimate guitar when trying to learn melodic parts to specfic songs. 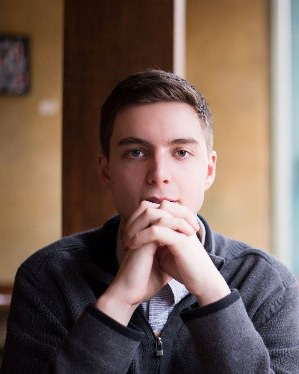 The song mode allowed me to create backing tracks that stayed true to the tone and dynamics of the original song. Something I find really unique about the plug-in is the ability to use a Guitar Hero controller to control the plug-in. If I owned a Guitar Hero controller, I would be using this feature a lot. The only downside to RealGuitar 5 in my opinion is the learning curve. As I am not the best key player, I mainly use the multi-mode. It took me sometime to understand how to make the strumming sound real. At some points I also found it difficult to remember what notes effected a given chord. The ability to omit certain notes but still have the chord remain intact confused me at times and made me feel I was learning a new instrument entirely. As someone who has been playing guitar for 11 years I do not see RealGuitar 5 making a major impact on my workflow as I enjoy recording my own playing. 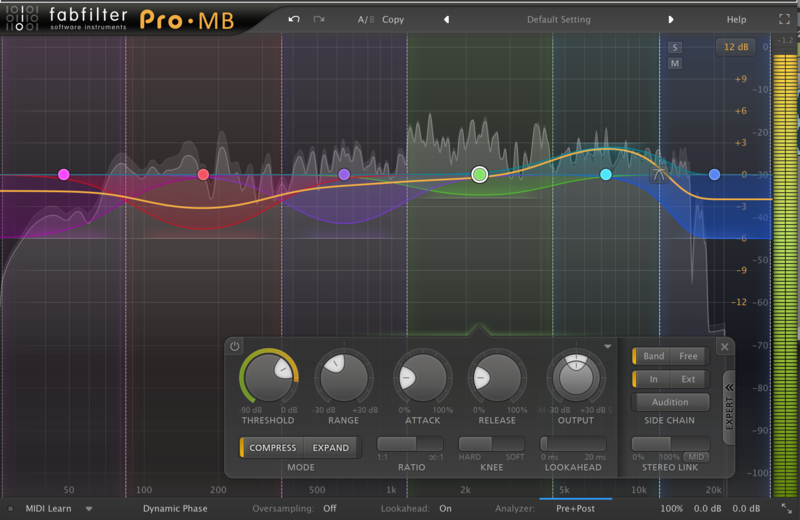 However, this plug-in is perfect for the producer who does not have the ability to play the guitar at a recording level. Overall, the dynamic range of the plug-in is impressive and I was happy with how MusicLab was able to capture the integrity and sound of a real guitar player.